Children's hair and scalp seem to be very similar to adults' ones but they are completely different. 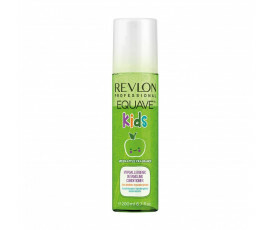 For this reason, Revlon Professional has developed Equave Kids: enriched with gentle ingredients, these specific products for kids aged between 3 –12 years old solve common troubles, such as split ends, tangles or damaged, dry hair. 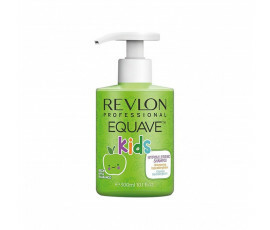 Revlon Professional Equave Kids, no parabens or sulfates for children's daily hair care. This amazing range offers a conditioning gel shampoo for cleansing while nourishing gently, a leave-in detangling conditioner and an instant conditioner that makes little girls shine like princesses. Turn children's hair cleansing into an extraordinary moment, thanks to these wonderful products and their pleasant floral, fruity fragrances.